Norm McAllister, right, is shown with his former attorney Brooks McArthur in court. A Vermont Superior Court judge approved former state senator Norm McAllister’s request to withdraw from a plea agreement in his sexual assault case. The decision, issued Thursday morning by Judge Martin Maley in St. Albans, means McAllister will stand trial on two misdemeanor counts of prohibited acts and one felony charge of sexual assault. The former Franklin County legislator could face up to life in prison if convicted of the sexual assault charge. 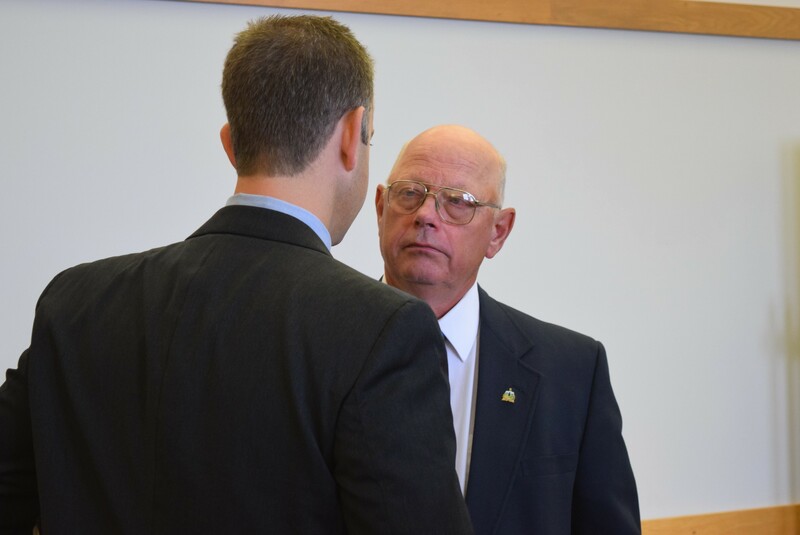 McAllister agreed to plead no contest in January to amended charges of lewd and lascivious conduct and two counts of prohibited acts. He could have served up to seven years under the agreement. The agreement came together on the eve of trial, after a full day of jury selection. In the following days, McAllister fired his legal team. His new attorney, Bob Katims, filed a motion to withdraw the plea. McAllister, during a February hearing on the motion to withdraw, alleged that his previous attorneys, Brooks McArthur and David Williams, “browbeat” him into taking the deal. “The matter will be scheduled on the next available pretrial and jury draw,” Maley wrote in his order. Katims said Thursday he was pleased with the decision but had not yet discussed it with his client. The attorney declined to discuss evidence or trial strategy but said he remained confident the court could find a jury that would fairly decide the case, despite its high publicity. “Mr. McAllister maintains his innocence and is entitled to his trial and is looking forward to having his day in court,” Katims said.